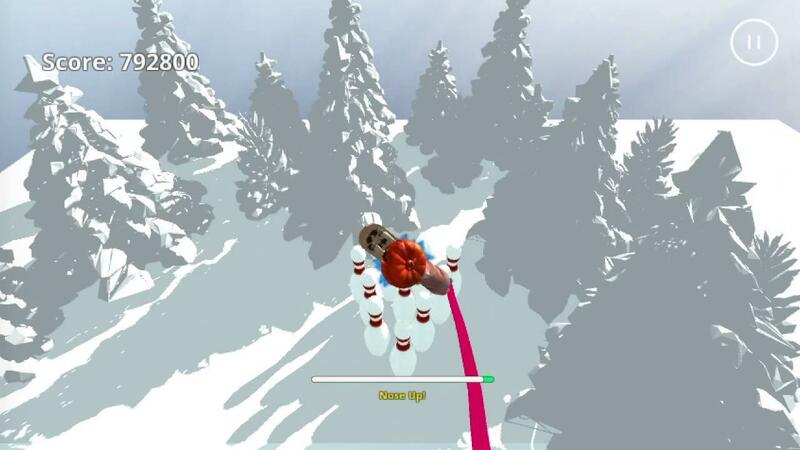 Snow Horse is a game about a snowboarding horse that really makes me confused. It's a game not to be taken seriously, but it actually is a thing. Originally the developer wasn't sure if he would be able to release it for Linux, but you can thank me for this silliness as I did a test before release and let the developer know it worked. Yes, I am partially responsible for this mess. It's one of those games that was made purely for twitch streams and youtube videos, it's completely pointless, amusing for a few minutes and then you will put it in a drawer to likely never remember it exists. It costs £4.79, has all of about 5 levels I could see and it's just dumb. So, does anyone else own it? Yea or Neigh? Sorry, I couldn't resist. I'll try to rein in my humor. No sense beating a dead horse. melkemind So, does anyone else own it? Yea or Neigh? Sorry, I couldn't resist. I'll try to rein in my humor. No sense beating a dead horse. I would come up with something witty, but my voice is a little hoarse right now. That's snow horse, it's a man wearing a horse mask. Goat Simulator is just as stupid as this. As Liam said, amusing for five minutes, then you never touch it again. And if you do, whyyyyyyyyyyyyyyyyyyyyyy? Quote Goat Simulator is just as stupid as this. As Liam said, amusing for five minutes, then you never touch it again. And if you do, whyyyyyyyyyyyyyyyyyyyyyy? I have 183 hours in Goat Simulator, but I'm not sure about this horse game! I bet it runs better than No Man's Sky... Has about the same amount of entertainment value too (a few minutes). Hopefully Planet Nomads turns out to be good. Segata Sanshiro That's snow horse, it's a man wearing a horse mask. I have one of those masks, not sure why I bought it as I've never worn it. It always frustrates me when people make money with stupid stuff like this because I wish I had thought of it.